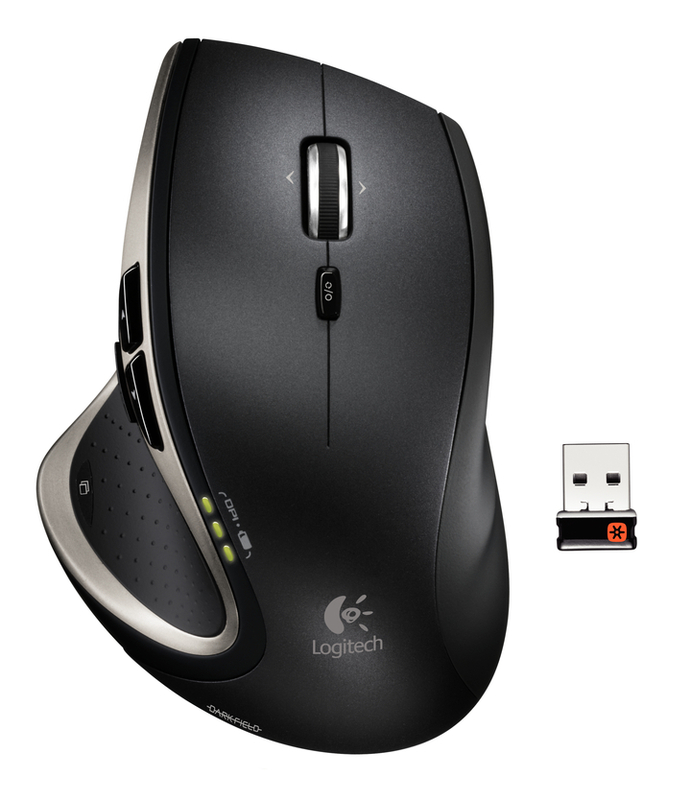 Logitech took the computer mouse where no mouse has gone before. 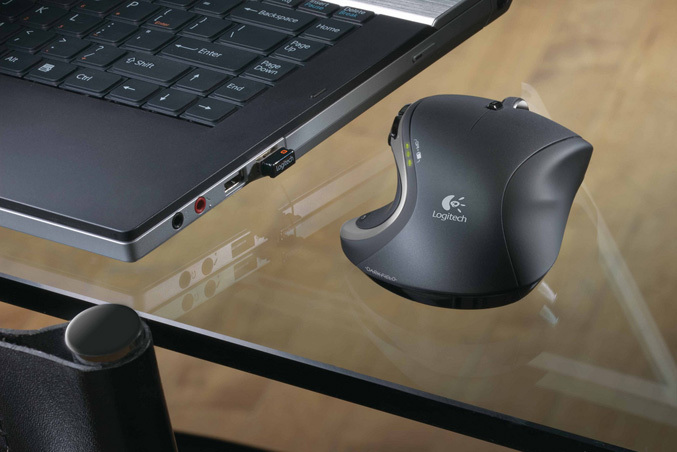 With Logitech® Darkfield Laser Tracking™, you can use your mouse virtually anywhere you want – including clear glass (that’s at least 4 mm thick) and high-gloss surfaces. 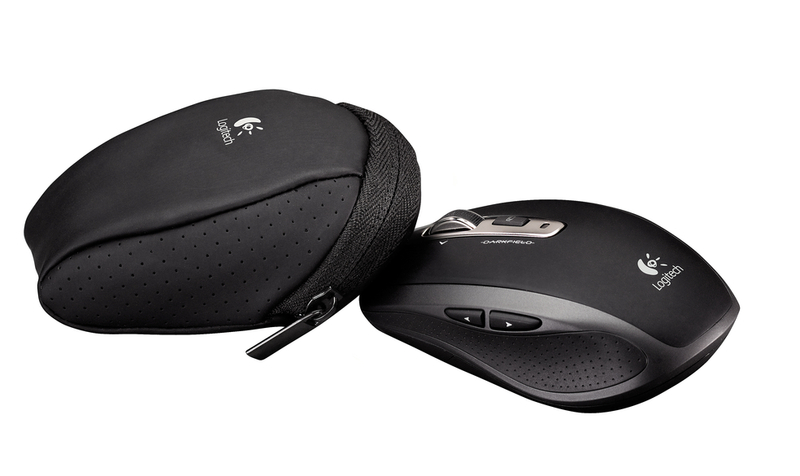 This new technology is available in the Logitech® Performance Mouse MX™ and the Logitech® Anywhere Mouse MX™, giving you the option of a full-size mouse or a more compact, notebook mouse. 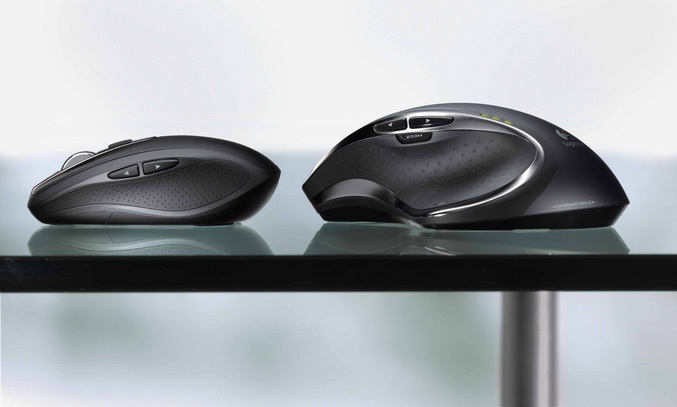 Logitech research showed that 40 percent of people have a glass surface in their home. 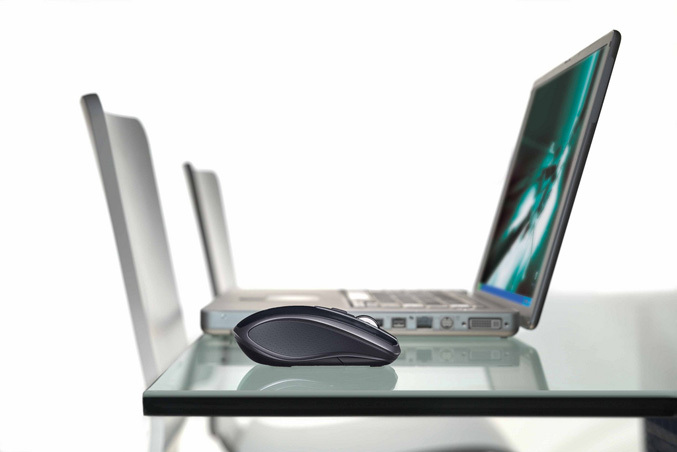 This coupled with the increase in the popularity of laptop computers, means that people are moving around and coming into contact with a multitude of surfaces – like granite and lacquered wood – that challenge the tracking capabilities of standard mice. 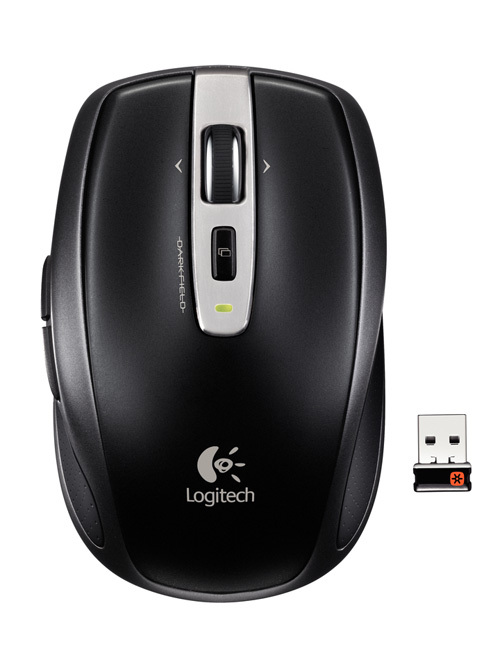 A pioneer in the development of the computer mouse in the 1980s, Logitech has enthusiastically driven nearly every major innovation in mouse technology – persistently refining this ubiquitous interface between people and their digital experiences. From laser tracking to hyper-fast scrolling to the Plug-and-Forget Nano-receiver, Logitech has dedicated itself to creating ways to help you get more out of your computing experience. 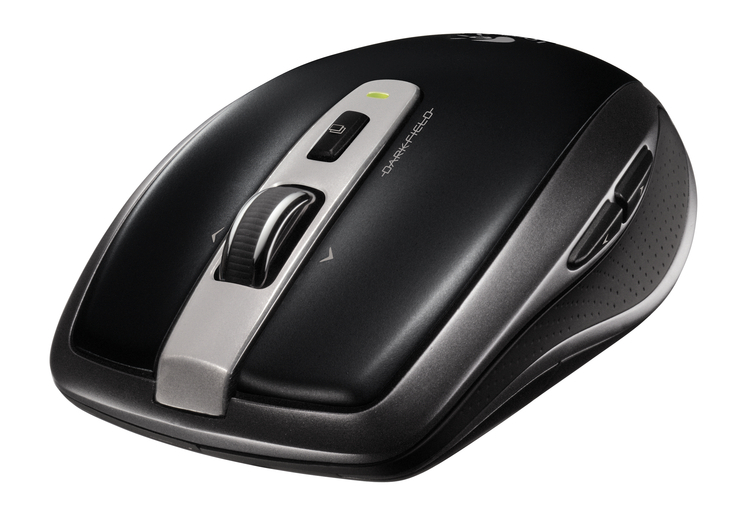 The latest in this line of innovations, Logitech Darkfield opens up new possibilities for when and where you can use your mouse. 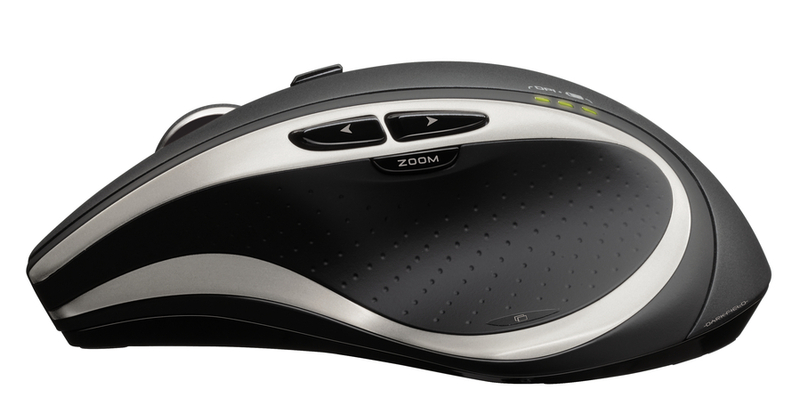 Regular laser tracking technology relies on the ability of the mouse’s sensor to detect the textural details of the surface. 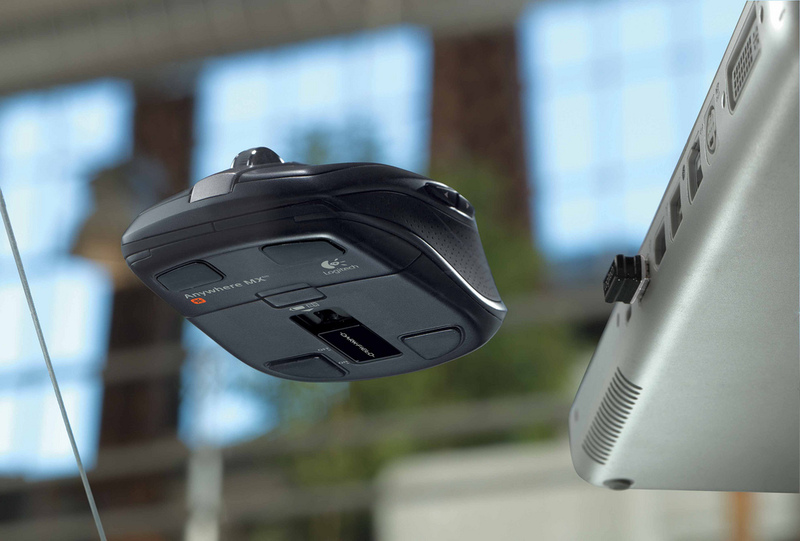 The more irregularities a surface exhibits, the easier it is for the sensor to identify reference points that it can use to accurately measure motion. 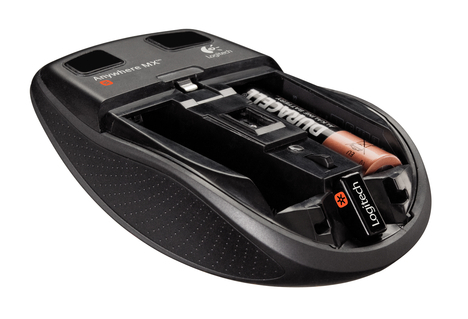 However, because high-gloss surfaces such as glass are almost completely flat, there are not enough details for a typical laser mouse’s sensor to detect. To track on glass (that’s at least 4 mm thick), Logitech Darkfield uses dark field microscopy to detect microscopic particles and micro-scratches on these surfaces, rather than tracking the surface itself. 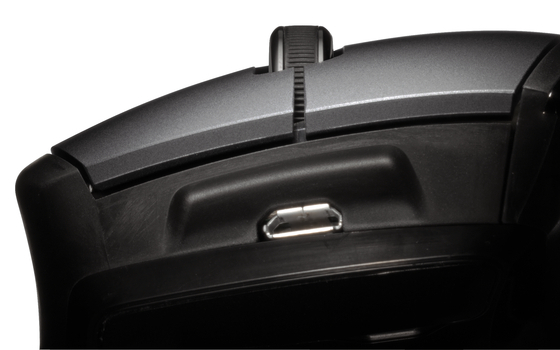 Similar to the way in which our eye sees the clear night sky, the mouse’s sensor sees the clean areas of glass as a dark background with bright dots – the dust. 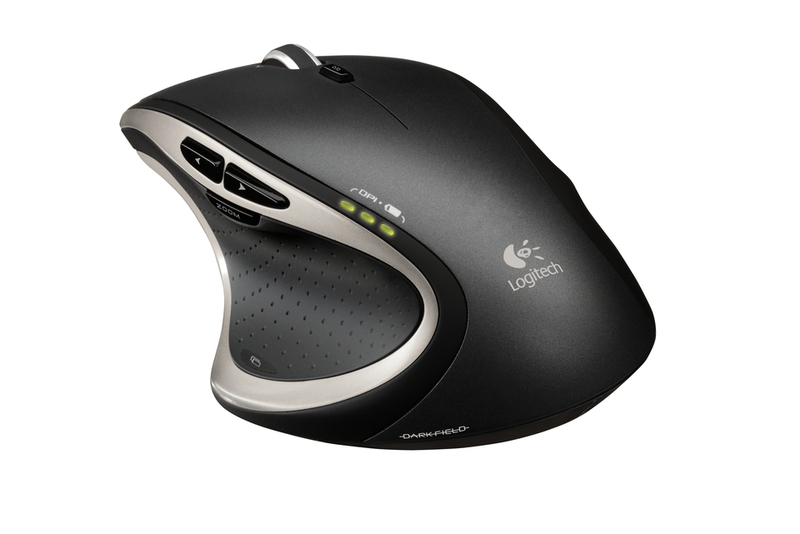 Then, the sensor interprets the movement of these dots to track exactly where you’ve moved the mouse. 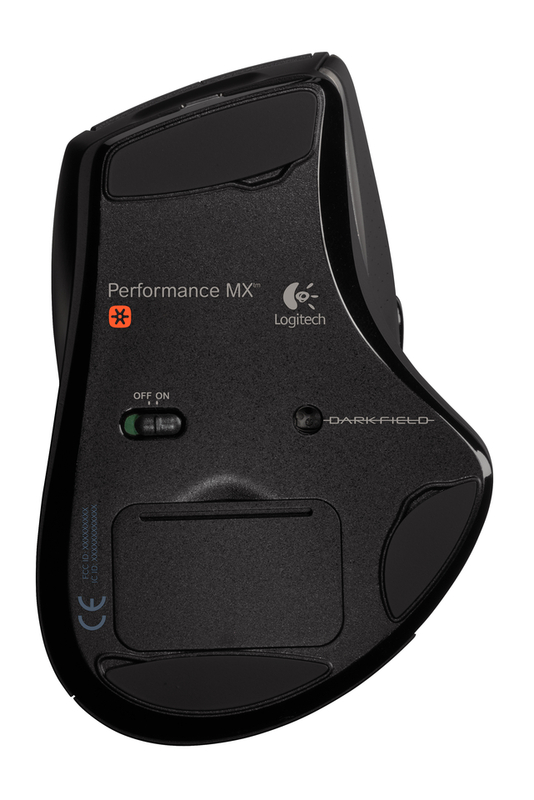 With the full-size Logitech Performance Mouse MX, you have the power to get the job done. 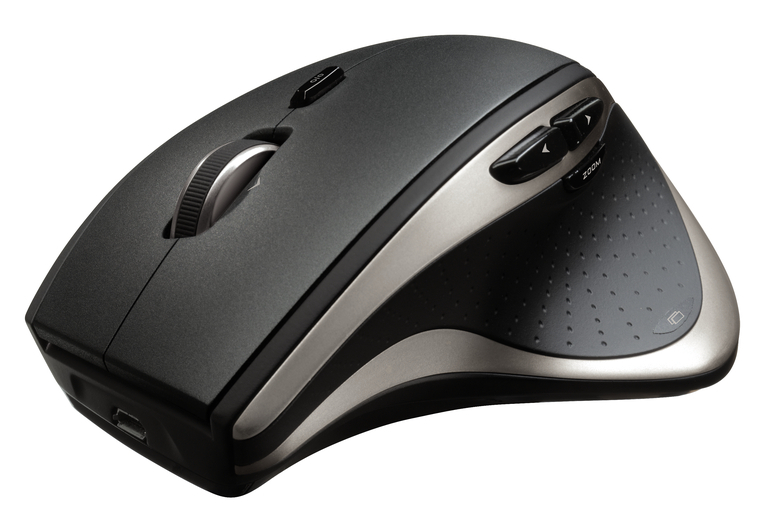 The sculpted, right-handed shape gives you the comfort you need, while the flexible micro-USB charging system lets you recharge your mouse through your computer or a wall outlet – even while you’re using it. To make you more productive, four customizable thumb buttons put your most important controls – like application switching and zooming – at your fingertips. And, force-sensitive side-to-side scrolling (software enabled) – a first in any Logitech mouse – lets you quickly navigate around Web pages. 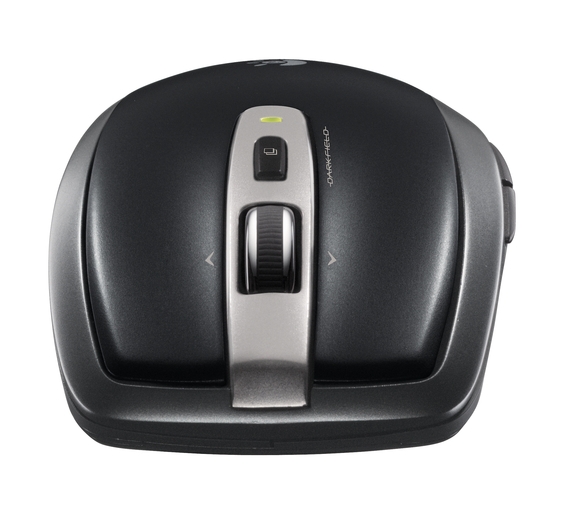 In addition to providing unsurpassed cursor control, both of the new Logitech mice feature the recently announced Logitech® Unifying receiver. 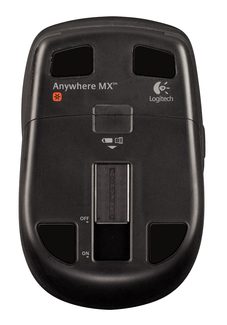 The tiny wireless receiver stays in your notebook, so there’s no need to unplug it when you move around. 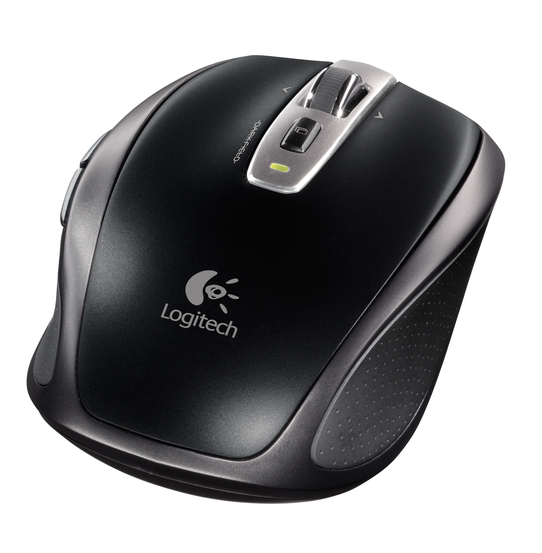 Plus, you can easily add up to five other compatible Logitech keyboards and mice to the single receiver, including the recently announced Logitech® Keyboard K350, Logitech® Keyboard K340, Logitech® Marathon Mouse M705 and the Logitech® Wireless Mouse M505.